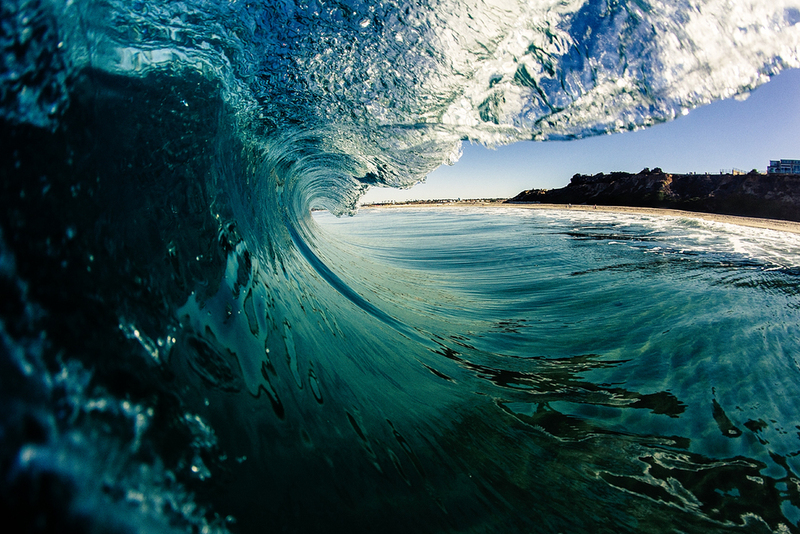 Chris Grant is a talented surfer/photographer based in San Diego. Chris is also the founder and staff photographer of Jettygirl Magazine, an online publication that highlights and honors exceptional women surfers with stunning images. We spoke with Chris to learn more. Tell us a bit about yourself. Where did you grow up and what is your relationship to the ocean? I grew up in Tustin, California. While much of Orange County is now covered in concrete, I grew up in an area populated by orange groves and a relatively slow pace of life. While we spent several days at the beach each summer, much of my free time was spent on a skateboard. At some point in 1980-81, I received a postcard stating that my beloved Skateboarder Magazine was going out of business and that the publisher was going to fulfill the balance of my subscription with issues of Surfer. I was devastated until the first issue landed in my mailbox. Within a month of opening its pages I had a brand new Herbie Fletcher twin fin and haven’t left the water since. Almost every aspect of my life has in some way been touched by my time in and around the ocean. I thank God for that all the time. When did you start shooting photographs and why? As a teenager I received a Canon AE-1 35mm film camera and shortly thereafter, scrounged together some funds for a cheap telephoto lens and wobbly tripod. While I’d love to claim there was a youthful fire burning in my heart to create art, my first cameras were pretty much used for selfish purposes. Heading to the beach with a roll of film and a friend meant half a roll each surfing in front of the lens. I’ll never forget the feeling of opening up a box of slides, holding my breath, and slowly going through each one hoping that there would be one or two keepers. What do you look for in the “perfect shot” on the water? One of my favorite things about surfing is seeing a friend catch a really good wave while I’m paddling back to the lineup. It’s fun to watch the way they approach the speed and flow of a wave. 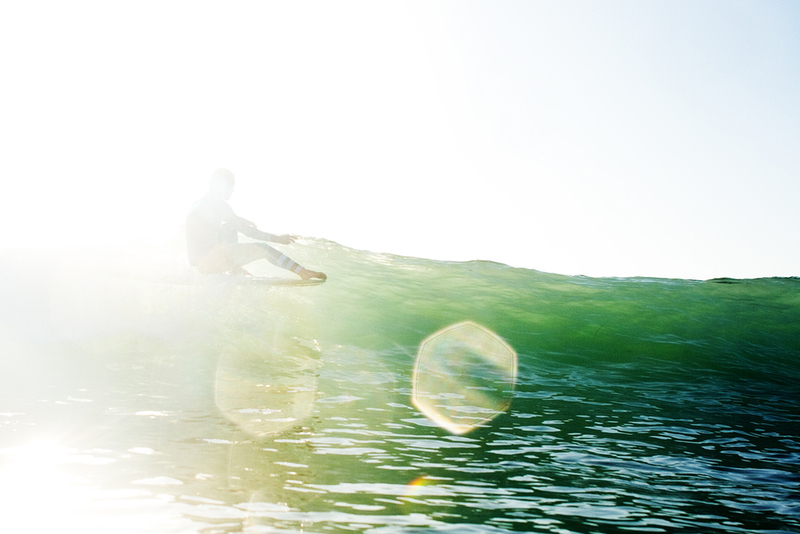 Catching a glimpse of sunlight as it curves up the face or even getting pelted by the spray of a well-placed cutback adds to the experience. All of those moments that I appreciate when paddling out to ride waves are the same things I look for when I’m shooting photos in the water. Longboard surfing is especially beautiful to photograph because the sheer length of the board requires a longer line and more graceful approach. While the actual speed of a longboard in trim may or may not be slower than that of a shortboard, when I’m sitting in the water, it feels like a slightly more relaxed pace. The extra split second gives me the chance to look for facial expressions, hand placement, body positioning and so on …those little things that elevate a good photo to something extra special. What is Jettygirl and why a women’s-specific surfing magazine? Jettygirl is an online surf magazine that was launched in 2006 as a result of the two main US-based women’s surf magazines, SG and Surf Life for Women, discontinuing publication a few months previous. At the time I was shooting with a talented group of surfers who either lived in or regularly visited the Oceanside area, many of whom were members of Donald Takayama’s amazing women’s surf team. When those two magazines closed their doors, I knew I had to do something, even if it was only a temporary bridge until the next batch of women’s print magazines jumped into the publishing waters. As to the question of why, in the almost ten years Jettygirl has been in existence, women’s surfing has literally exploded into a worldwide female surfing population estimated to be in the millions. Still, there are currently only a small number of women-focused surf publications. There is not only a need for Jettygirl, but for many other projects like it to come online as well. While I love this job, I also continue to publish Jettygirl because it’s the right thing to do. What is the biggest challenge related to publishing Jettygirl? My biggest challenge has always been time, specifically a lack of it. Social media has only driven this point home even closer. Each day when I scroll through our accounts, there are numerous photos of surfers whose names I’ve never heard from lands far from here, riding waves with incredible style and skill. There always seems to be so little time, yet so many talented surfers on the planet that we’d like to feature. What is the most rewarding aspect of running Jettygirl? The greatest thing about running Jettygirl will always be the people I meet while shooting photos. I might swim out to the main break to watch the crowd part while a surfing treasure like Linda Benson drops in at her favorite left and minutes later witness a parent push their son or daughter into their first waves on the inside. 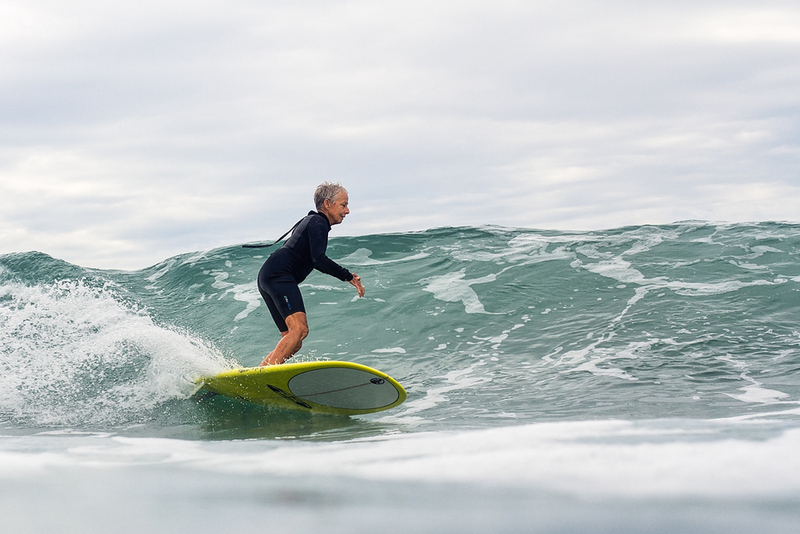 Whether young or young-at-heart, the sparkle in the eyes of those of us lucky enough to ride waves is something that touches my heart time and again. The fact that I get to photograph these moments is simply icing on the cake. Your favorite board and spot? One of the ironic things about working and surfing with longboarders much of the time is that I primarily ride shortboards. I have a quiver of school bus yellow 5’9” swallows shaped by Raz (Scott Raisbeck) that differ little from each other aside from fin configurations. It’s amazing how many personalities a board can have with a single box and four fusion plugs. Keeping the wide point back has given me years of fun sessions and the boards take anything from a Skip Frye Flex to Takayama Halo’s to MR twins with equal success. Mr. Chris Grant getting some of his own water time in front of the camera. It’s more of a snack than a meal, but tortilla chips, salsa, and guacamole are my daily guilty pleasure. What’s next for Jettygirl and Chris Grant? I’m really excited for Jettygirl’s future to unfold. One thing I’ve always wanted to do is to reach out to the Spanish-speaking surf community and that is now becoming a reality. A large portion of our social media posts are now bilingual and the response has been fantastic. When I see a mix of both English and Spanish responses in photo comments, it warms my heart to no end. In coming months we’ll be further developing our new series “Saltwater & Light” which focuses on female surf and lifestyle photographers from various parts of the globe. With the success of our annual swimwear guide, we’ll continue to publish projects that support independent women-owned businesses like Seea, Rue Stiic, Salt Gypsy and others. Working alongside our talented creative director, Sormarie Nieves, we also have a big editorial feature coming soon from Puerto Rico and a special secret project at year’s end. As for me personally, I’ll be aiming to shoot some, surf more, play a lot of tennis with my son, and continue to experience life, love and laughter with the greatest person I’ve ever known, my wife. Learn more about Chris and his publication Jettygirl here.